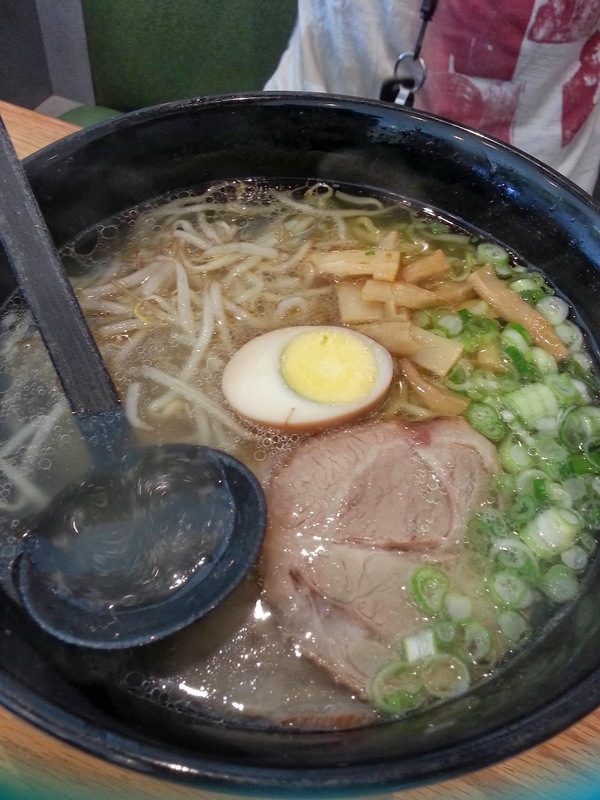 MEET ME AT EBISU RAMEN PLACE 1PM - FOUNTAIN VALLEY - EAT WITH HOP! A few months ago Kevin and I decided to plan a reunion with Honesty, our good friend from OCC! 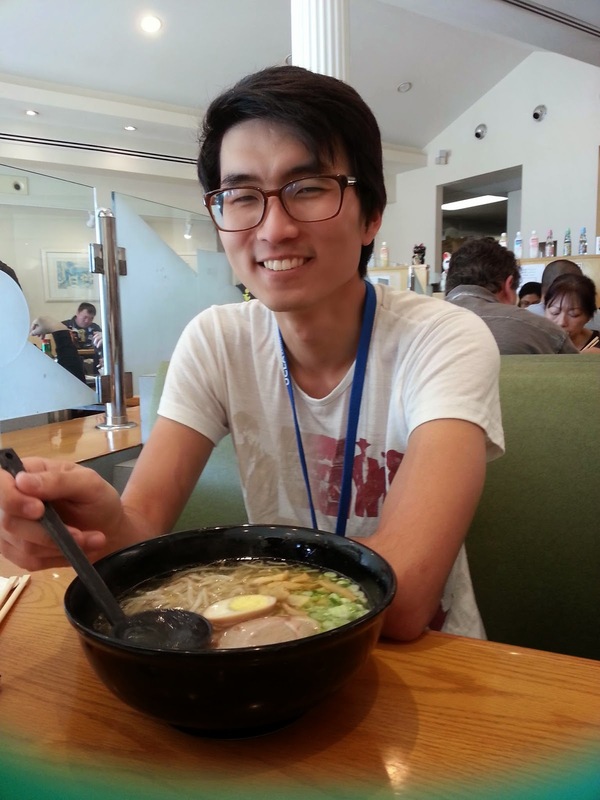 We wanted to eat something "Japanese" because we originally met from Japanese Language class from OCC. 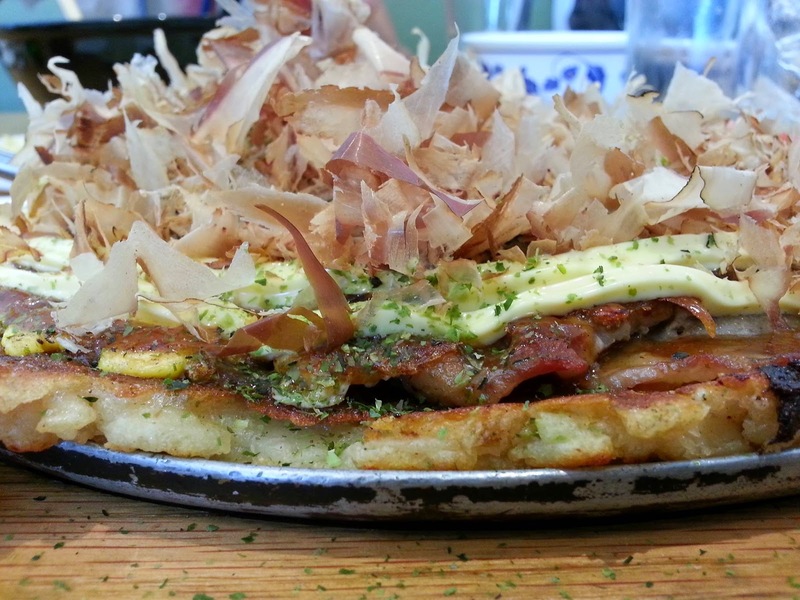 I chose this place because I really craved OKONOMIYAKI which is a sort of Japanese pancake type of dish with flour and eggs and all sorts of toppings like bonito flakes, seaweed flakes, a variety of meat and etc. 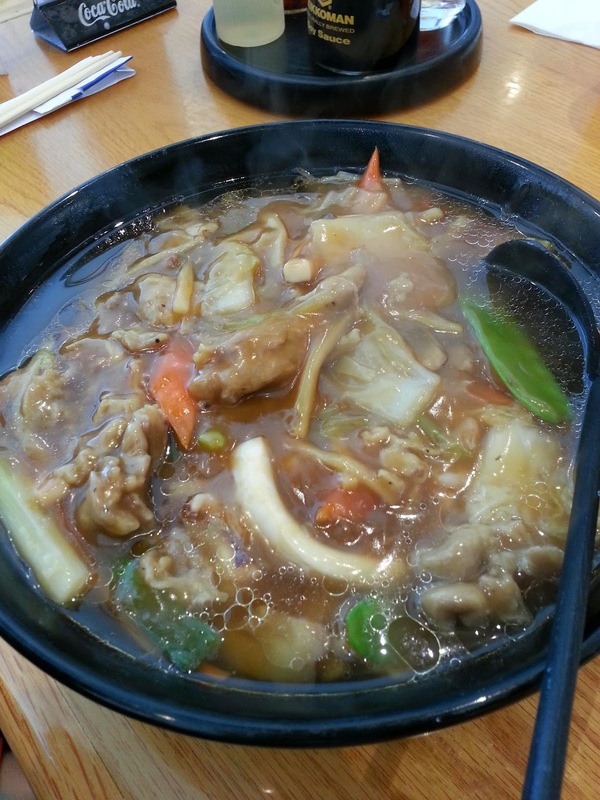 I ate this dish A LOT while living in Japan and so it was only natural for me to compare this to the authentic taste I fortunately got to experience in Japan. 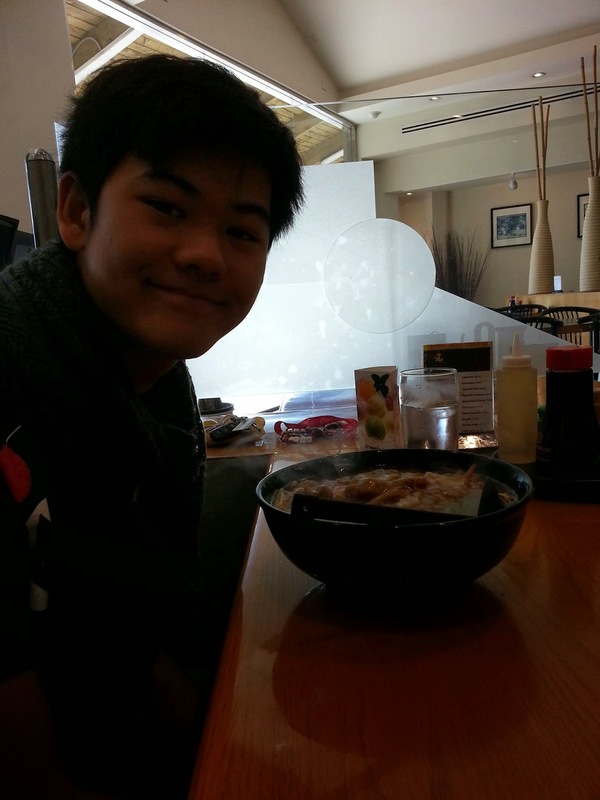 Honesty and Kevin both got ramen bowls and both of them were REALLY DELICIOUS. 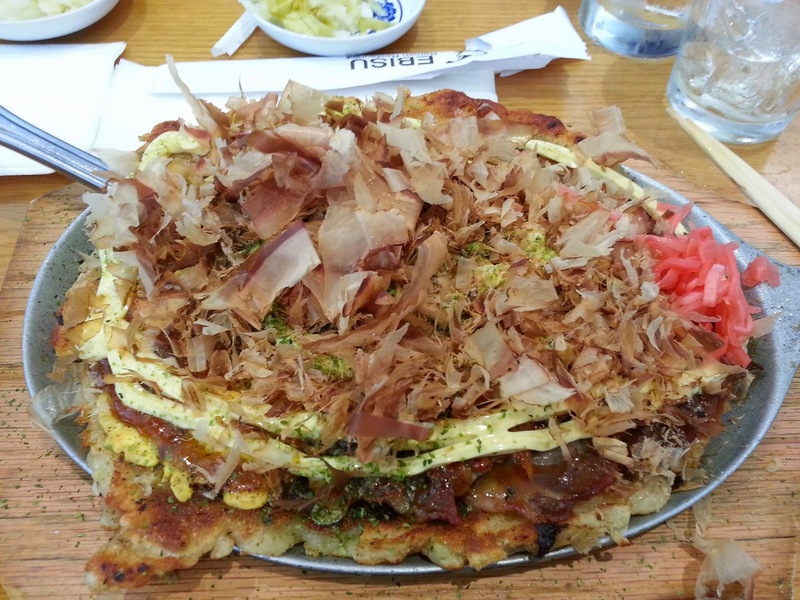 I got the okonomiyaki dish and it was actually REALLY BIG. I couldn't even finish it myself and I usualy EAT A LOT. In fact, I often ate at AYCE OKONOMIYAKI restaurants in Japan! I recommend this place if y'all wanna try Japanese Ramen! The Okonomiyaki was good too (; BUT, not as great as the ones I've had at Japanese festivals or in Japan. Still, this place was an okay alternative!